Changes to the 17th Edition regulations have been announced. Amendment 3 of the 17th Edition Wiring Regulations have been issued (as of the 1st January 2015). Although the changes have been issued; the amendments do not come into force until July 2015. 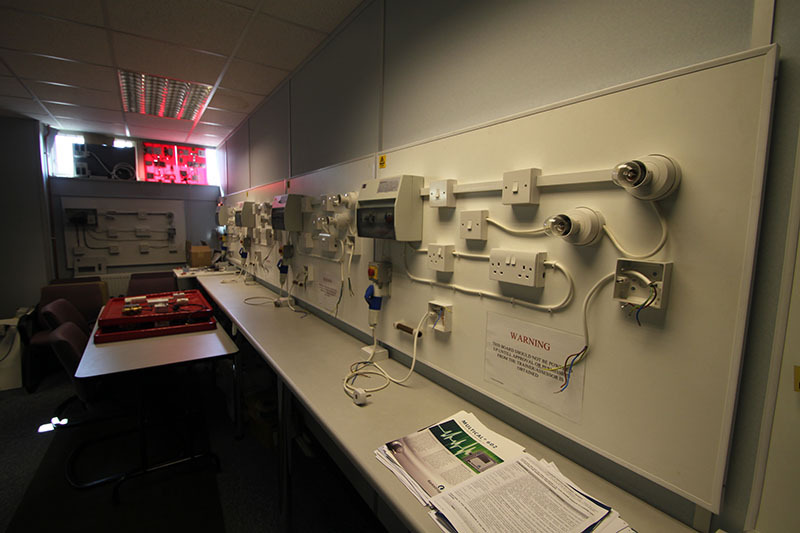 You can be sure that our 17th Edition Wiring Regulations course will give you the information you need to make sure your knowledge is up to date. Cables concealed in a wall or partition at a depth of less than 50 mm need to be protected by a 30 mA RCD if other methods of protection, including the use of cables with either an earthed metallic covering or mechanical protection, are not employed. There will still be an exception for cables that form part of a SELV or PELV circuit. A new section, 557, covering auxiliary circuits for low voltage electrical installations, has been included. Auxiliary circuits are defined as circuits for the transmission of signals intended for the detection, supervision or control of the functional status of a main circuit, such as circuits for control, signalling and measurement. Auxiliary circuits for fire and intruder alarms, traffic lights, etc. (where specific standards exist) are excluded. Introduction of the requirements for protection against electric shock for display stand for luminaires. Requirements for isolation, switching and control. RCD protection for socket outlets up to 20 A (and for mobile equipment up to 32 A for use outdoors) for all installations, unless a documented risk assessment has deemed this unnecessary. Our 17th edition course will begin to cover the 3rd Amendment in the near future. Make sure you’re 17th Edition Wiring Regulation trained with us. Need to buy the updated 17th Edition Regulations? Visit Logic4trade.